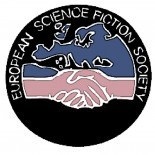 Welcome to the new website of the European Science Fiction Society. Since the elections in April, those of us on the committee have been working to modernize this site, to allow us to more easily update it. It is our hope that this site will become the central hub of news from the ESFS. While we will use other means of communication, this website will be the one that all of our information will be on. Please have a look around, you will notice that most of the same information is on the website, though it has been cleaned up and updated in general. This entry was posted on 15/07/2013 by omegar in Uncategorized.